Welcome to LawnCareGuide.org. We're here to help you grow your grass greener! The best place to start if you're having trouble with your lawn is in the grass guides. The grass guides provide detailed information on how to take care of your specific grass. For more generic advice check out the lawn care section. It provides information on how to take care of your lawn to include mowing, killing weeds, fertilizing, and watering your grass. There are plenty of practical lawn care tips you can use this weekend. In our lawn maintenance section we cover topics like seeding or overseeding your lawn, dethatching, and aerating your lawn. With home ownership comes the task of keeping a lawn. 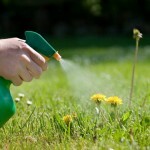 Most have every intention of keeping a weed free lawn that is lush and green all year long, however as the season wears on their lawn begins to slowly but surely it takes a turn for the worse. We want to help change all that. 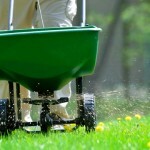 LawnCareGuide.org was developed to help homeowners minimize the amount of time they need to spend on their lawn, but keep the greenest grass on the block. Unfortunately with a dozen different types of grass, each with their own specific needs and requirements its quite difficult to provide one-stop advice for everyone. 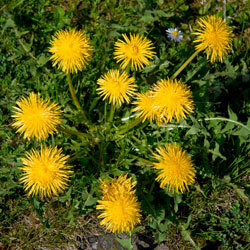 That's why its imperative for you to visit the grass guides for your type of lawn. 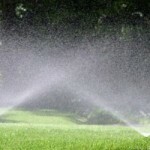 Here you can learn how much water your grass needs, what type and how much fertilizer your lawn requires, and much much more. We've also got some great seasonal lawn care advice which can help to keep your lawn healthy through the harsh winter months. We know that lawn care is not for everyone. Some don't have the time and for other its just not a priority. For these homeowners a lawn care service is just the ticket. There are a few companies that service the entire country with lawn service - we've done a thorough comparison of these companies and provided a detailed analysis of their services and effectiveness. There are other local companies that compete with these national chains. In these cases we've provided a series of articles that tell you the questions to ask, what to look for in a provider, and what you should expect to pay for such a service.